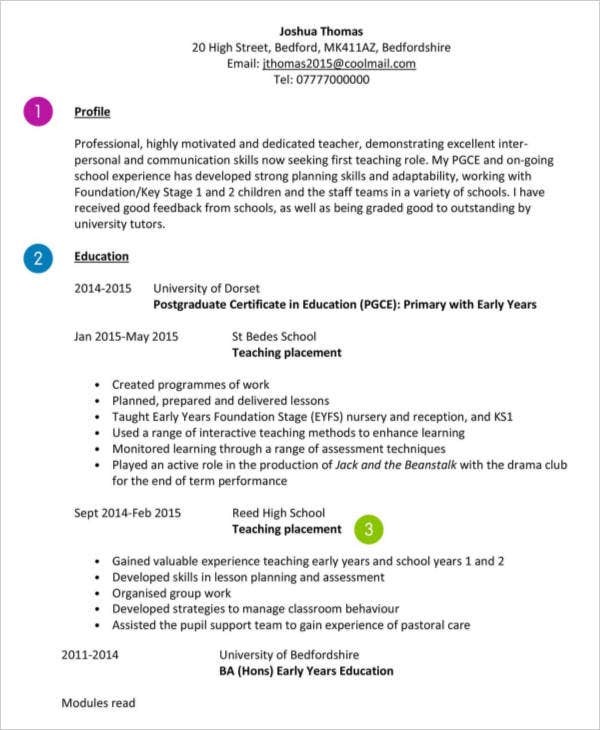 Are you struggling to write a curriculum vitae for a teaching position? 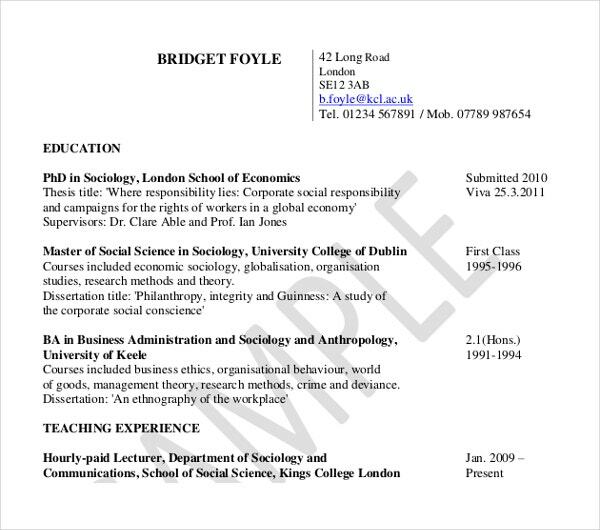 Do you need a good CV to support your curriculum vitae cover letters? We can definitely assist you with that. 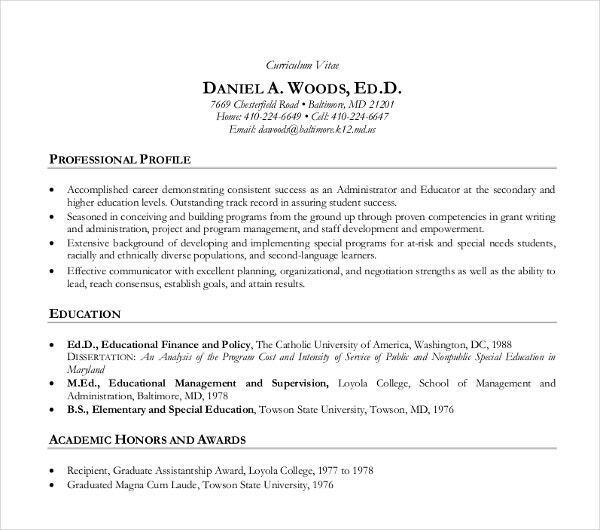 A curriculum vitae template is a document that emphasizes your overall academic history and achievements. 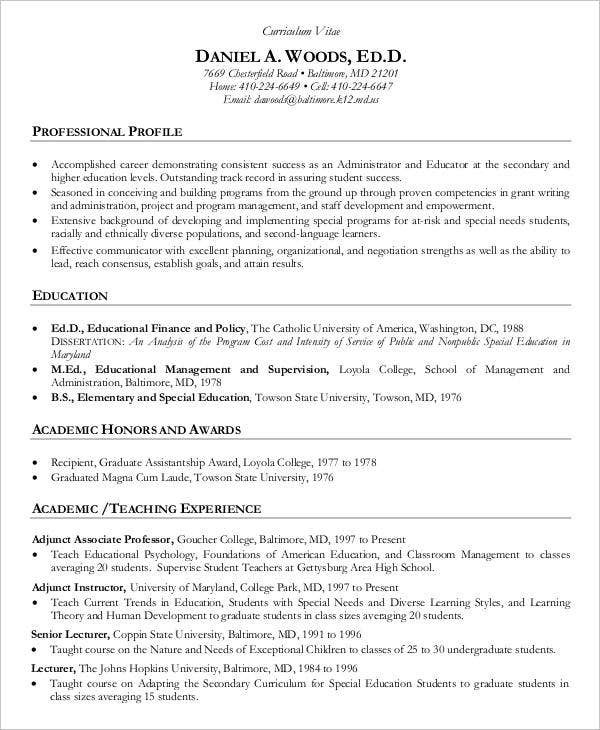 In an increasing and tightening competition in the field of education, there are certain aspects of your curriculum vitae that must be updated and improved. 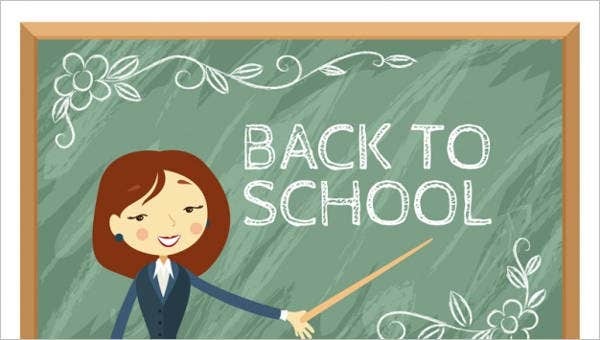 Like businesses, schools and other academic institutions are looking for competent and professional teachers. 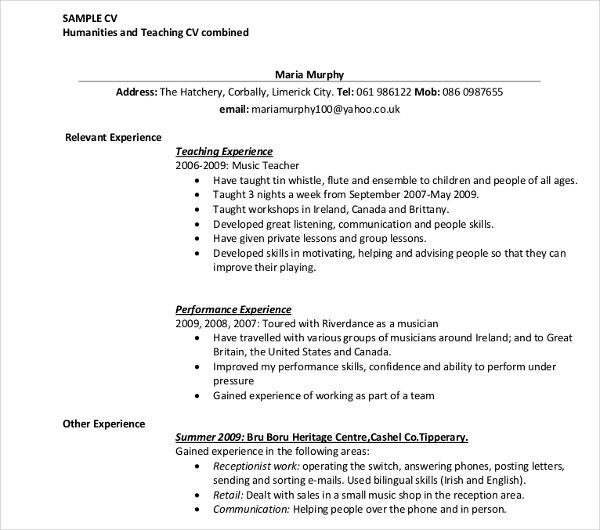 In line with this, our teaching CV samples can help polish and make your professionalism shine through. Provide a heading. Like any other formal letters, you need to provide your full name, your address, postal address, if you have any, and your updated contact details. Write your educational history. In here, you need to logically present the academic institutions you’ve been connected to in the course of your studies. Include the specific programs, courses, or degrees you’ve taken with the corresponding dates. Provide your teaching and other academic experiences. In here, you need to list your work experiences in the academic field, specifically teaching, administration, and research work. Write your relevant publications and certifications. If you have public works, you also need to emphasize them because they play a key role in increasing the marketability of your credentials. Furthermore, your certifications will show that you’ve complied with the legal and other professional requirements. 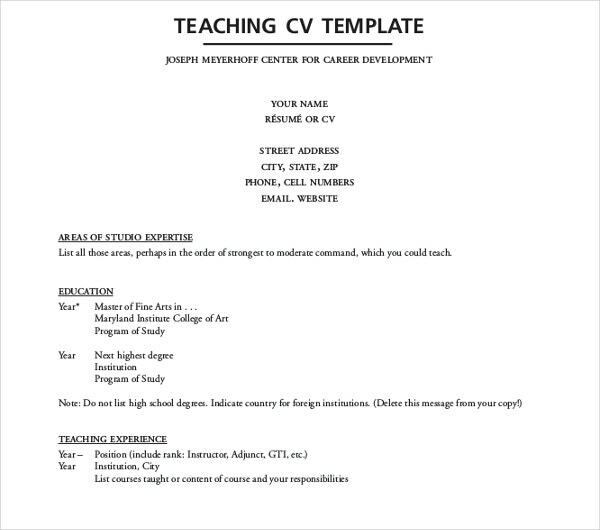 These are some basic steps that are common in the most job curriculum vitae template used by any teaching position. Apply a readable and formal font style and size. Using a 10–12 pt. font size can suffice. As a suggestion, you can use Arial or Calibri or any clean-looking sans serif type for your font. Systematic and easy to read. 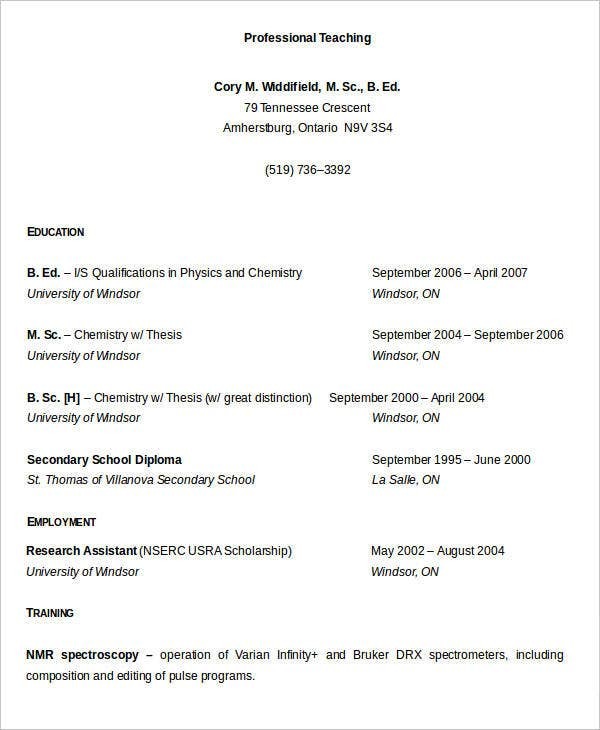 Always remember that your CV represents you and your academic dynamics. The way you prioritize and arrange your academic sections must reflect your professional level. Check your spelling and grammar. 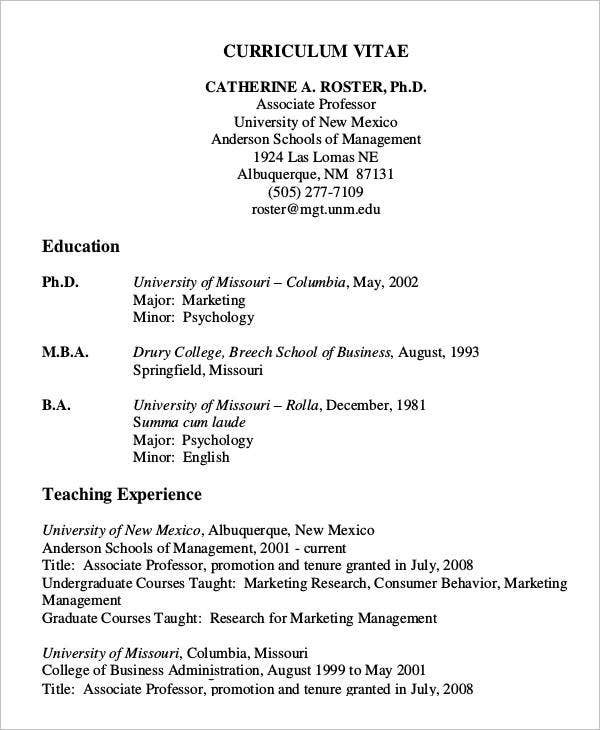 Always proofread your CV. As a professional in the academic field, avoid errors or grammatical mistakes. Make use of keywords. 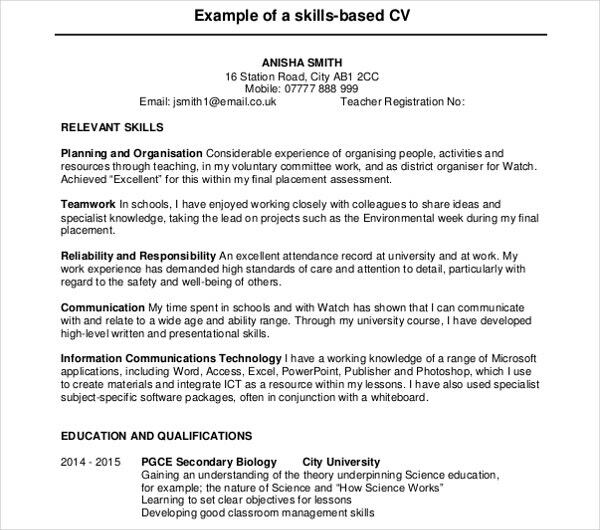 Like resume format templates, keywords are also significant when it comes to CVs. Be specific and informative. 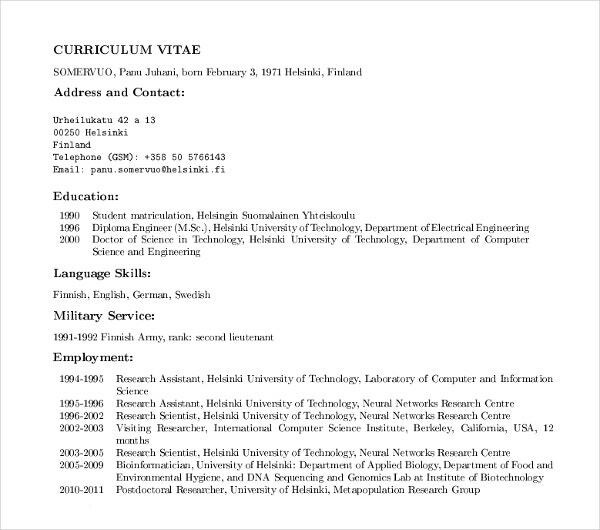 Don’t add unnecessary information in your formal curriculum vitae. Be specific in outlining your skills and accomplishments. These are tips that you may use and refer to. 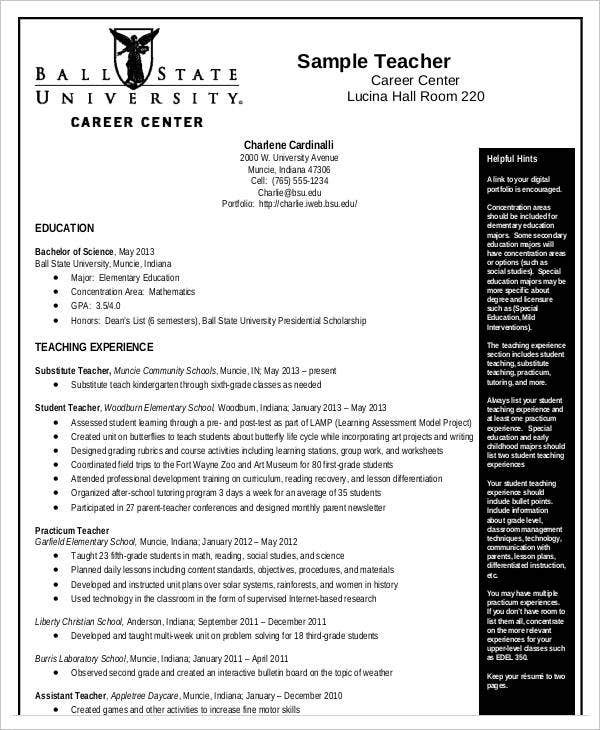 For more examples, you can also check out our internship curriculum vitae templates if ever you’re starting out as a teacher’s assistant or intern.